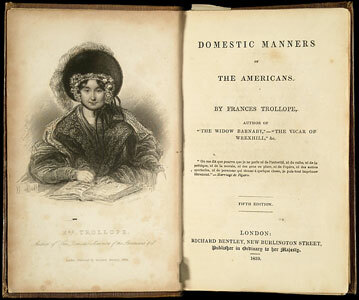 In 1830, Frances Trollope—a petite Englishwoman whose acidic wit would later earn her the sobriquet “Old Madam Vinegar”—arrived in Montgomery County, Maryland, with three children in tow. She had come to summer at Stonington, a friend’s Potomac estate near Great Falls. Immediately, Trollope was taken by the beauty of the Montgomery County countryside. 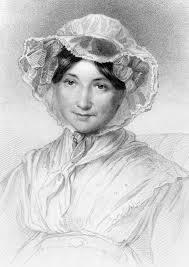 It “perfectly astonished us by the profusion of her wild fruits and flowers,” she later wrote. Cedars, tulip poplars, junipers and tall, ancient oaks shaded the paths that wound throughout the estate. Strawberries in full bloom, violets, anemones and wild pinks covered the ground. If the natural landscape was captivating to Trollope, though, the human landscape was not. She saw fields worn out by years of tobacco, lying fallow and unproductive. Farmsteads were ramshackle affairs, hardly reflective of the fabled land of opportunity. Every home she visited seemed to subsist on four staples: pork fat, salted herrings, cornbread and whiskey. “And in almost every cottage, a slave,” Trollope observed. The book was a sensation in Great Britain. “I am convinced that there is no writer who has so well and so accurately (I need not add entertainingly) described America,” Charles Dickens raved. Here in the States, the reaction was not so warm. “Mrs. Trollope was so handsomely cursed and reviled by the nation for telling the truth,” wrote Mark Twain. Trollope went on to pen a number of melodramatic novels revolving around such hot-button social issues as the impact of industrialization and the plight of the factory worker. But none achieved the same level of success and notoriety as Domestic Manners.